Kepware OPC Server for AB는 출시된 OPC Server 중 가장 뛰어난 성능 및 기능을 보유한 제품중의 하나로, 대부분의 AB Controller를 지원하며 Controllogix의 tag를 PLC 연결시 또는 Logix5000 file 로부터 읽어들이며, RSLinx 라이센스를 필요로 하지 않습니다. 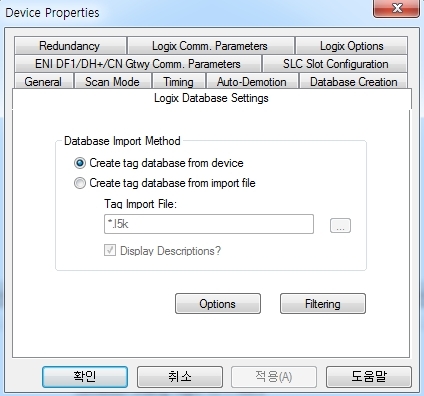 Kepware AB OPC Server Suite는 아래의 통신 driver를 모두 포함하고 있습니다. 기동시 PLC에서, Offline인 경우 Logix5000 Project files (*.l5k)에서 Tag Database를 자동으로 읽어 들이는 기능을 제공합니다. Supports 6 different board types: KT, KTX (D), PKTX (D) and PCMK/B by "Allen-Bradley" and 5136-SD-ISA and 5136-SD-PCI by "SST"
Supports CIP Watchdog: Specify the amount of time that a connection can remain idle before being closed by the controller. Supports Project Options: Specify the data type that will be assigned to a Client/Server Tag when the default type is selected during tag addition, modification, or import. Supports Data Access Options: Specify the number of atomic array elements that will be read in a single transaction. Supports Native Tags, including Global Tags, Program Tags, and Structured Tags. Optional UDT substructure aliasing and array element blocking for performance and communications optimization.